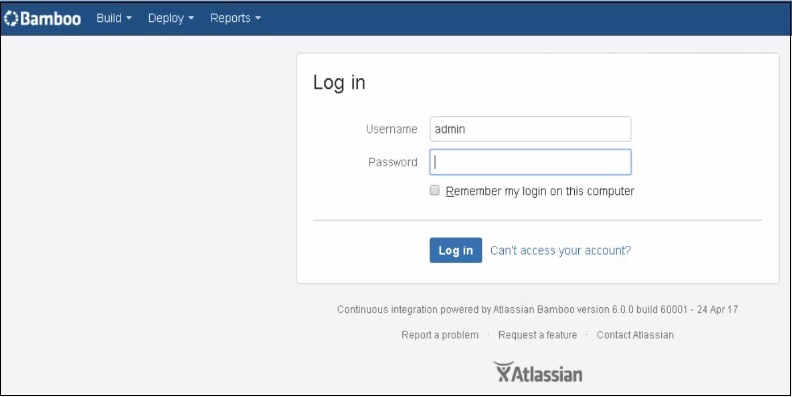 Bamboo is a continuous integration tool similar to the Jenkins which provides you web platform to execute your OpKey Suites & do more. Continuous Integration (CI) is one of the well known practices of Agile methodology. OpKey Web is now empowered by Bamboo which can easily be integrated into OpKey through OpKey Bamboo CI Jar & enables users to trigger OpKey Suites from any CI system. After successful installation of Bamboo on your system, you can access its services on web browser. Navigate to Bamboo login page & login with the valid credentials. After successful login, Bamboo Build Dashboard page opens. Here, you can view the list of projects, plans, builds etc. details. Go to Create tab and click on Create a new plan option. From here, you can configure a new plan on Bamboo. 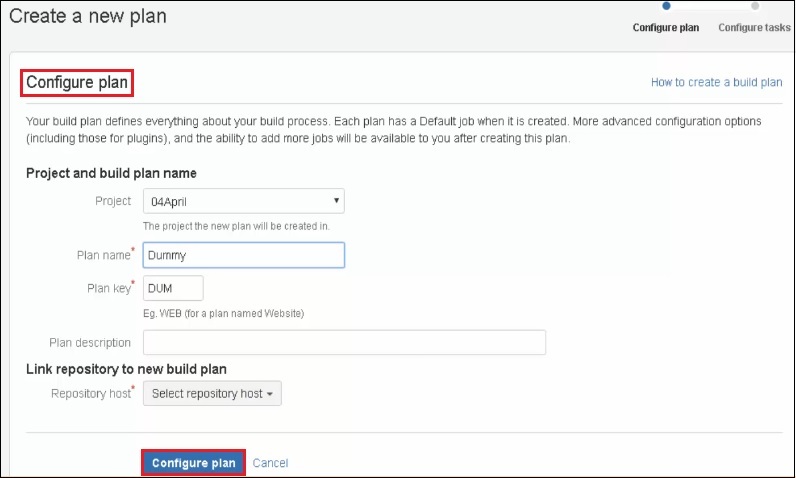 Fill all required fields & click on Configure plan. 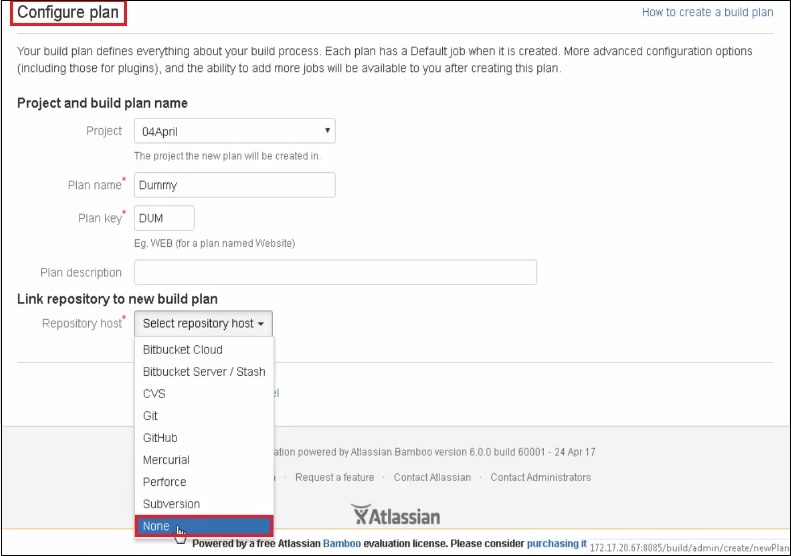 Select None as Repository host dropdown list. Further, you need to configure tasks. Let us add a new task. Type Script as the task name. 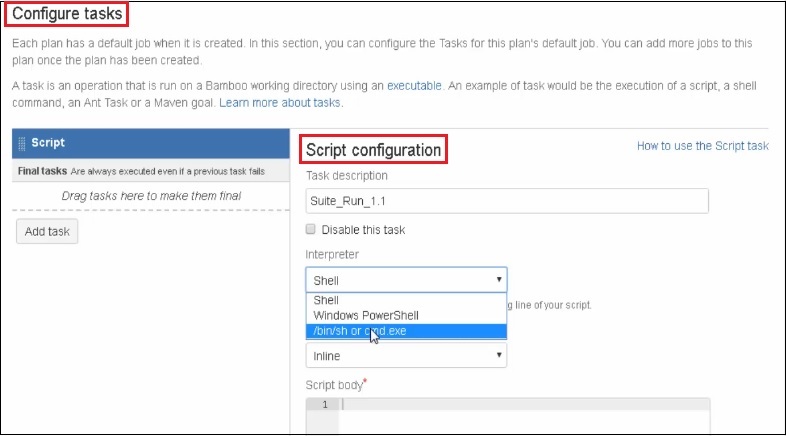 There is a suggested Script task, click on Script. Further, you need to configure task. Fill all required fields, select /bin/sh or cmd.exe as Interpreter. Script Body contains the continuous integration commands. Have a look at the Bamboo CLI commands. Have a look at the Bamboo CLI Jar file, required for integration with OpKey. 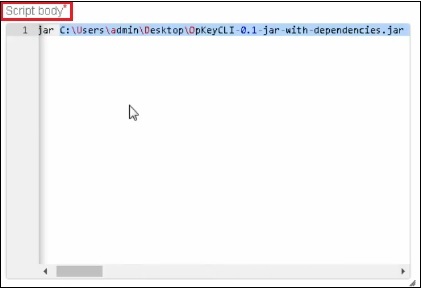 You have to provide the location path of this jar file in the CLI command as written above. After providing the CLI Command, you need to mark Enable this plan checkbox & click on Create. Click on Run and then select Run Now option to trigger the execution. 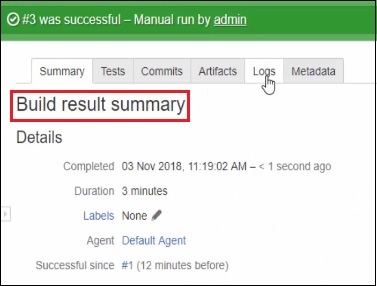 Execution is running & here you can view Build result summary & live execution logs. Once, execution has finished successfully, you can view the details of the execution result. 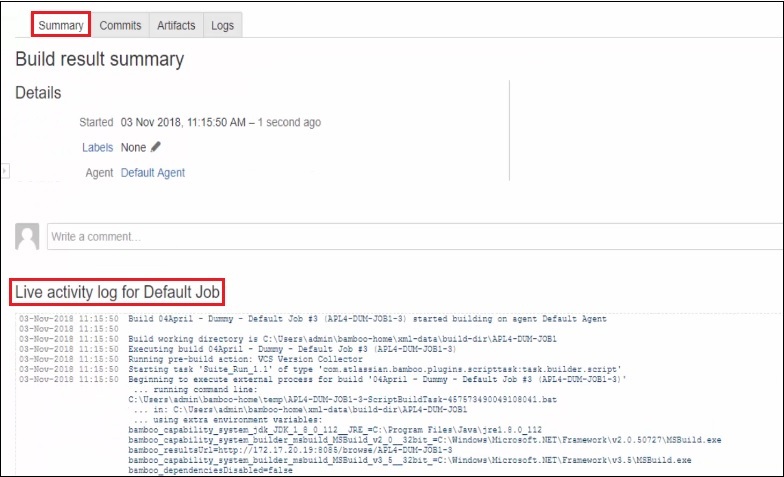 Here, you can view execution logs in detail. You can also download execution logs from here. Have a look at the recent execution summary.